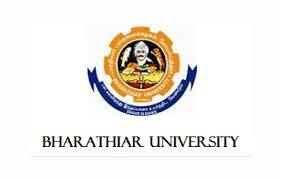 Bharathiar University Recruitment 2017 2018 - 25 Guest Lecturers Posts | Bharathiar University Guest Lecturers Jobs Application Form Download at Bharathiar University. Good News for Job contendersBharathiar University Exam Notification 2017 has announced an official advertisement for 25 Guest Lecturers Posts. Eligible Candidates can Download Application Through Official website www.cdn.b-u.ac.in | Bharathiar University Syllabus, Call Latter, Age Limit, Eligibility Criteria, Application Processes, Bharathiar University Walk in Date, Bharathiar University Result Date Details Given below Check before attend walk in Interview.